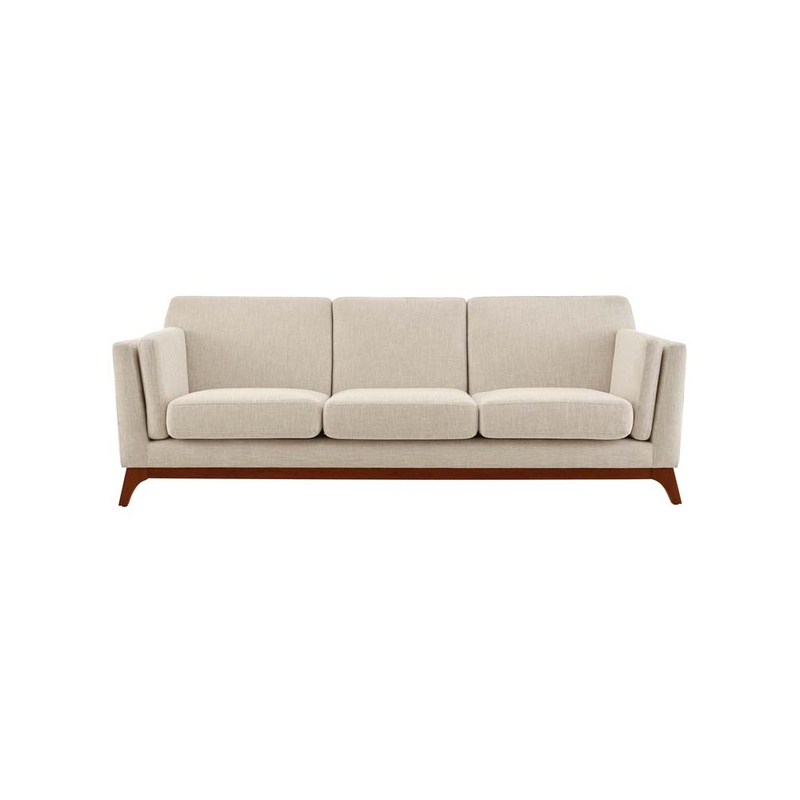 Tags: couch, sofa, Rosewood, beige, cream. 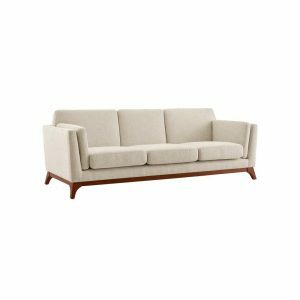 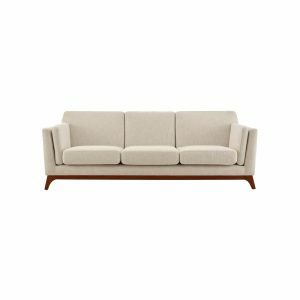 Distill organic mid-century charm with Channel Sofa. 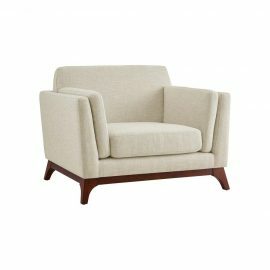 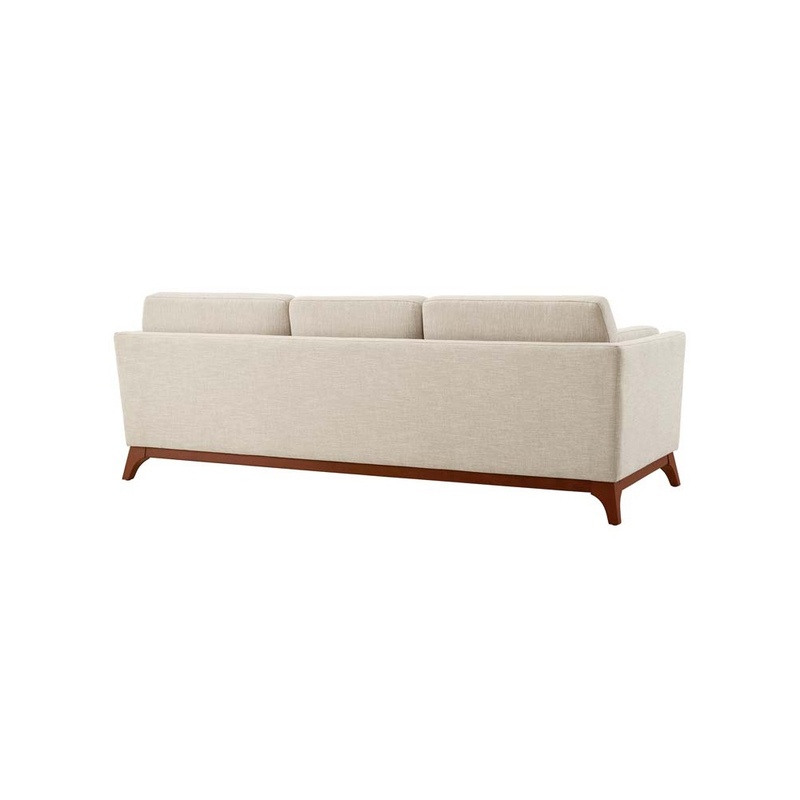 Clean lines and flared arms add intrigue to the elegant silhouette, as the broad, oversized profile offers up a comfortable place to rest and relax. Finely upholstered in soft polyester fabric, the Channel Sofa features plush, dense foam padding, a solid wood frame with tapered legs and plastic non-marking foot caps.